We're pretty regularly told we're on the cusp of commercial space travel. Companies like SpaceX are inching closer to the day that tourists will spend the weekend in orbit. The latest signal that the day is truly approaching? Beer. Vostok Space Beer is a collaboration between the Sydney and Denver-based space engineering company Sabre Astronautics and the Australian craft brewery 4 Pines. Vostok wants to rustle up a million earth dollars to innovate a beer that will pour and drink nicely in space. It may seem like a solution to a problem that doesn't exist -- okay, it may actually be that -- but it also makes a lot of sense. Imagine how disappointed you'd be if you spent the weekend in, say, Nashville and when you got there you discovered there's no beer in Nashville. Disappointing, right? There are more than a couple issues to work out when inventing space beer. You can't just grab a Todd the Axe Man and head to space. Alcohol absorption is different in space. (The team drank beer in zero gravity as a part of the testing process.) Carbonation doesn't work the same. There's something horrible called a "wet burp." Pouring is, well, not a thing. They've conquered some of these problems, settling on a dry Irish stout with seven malts and a 5.1% ABV. The beer has won awards in Australia, but the beer may have been the easy part. Vostok didn't want to put beer in the kind of squeeze pouch astronauts use for water or juice. 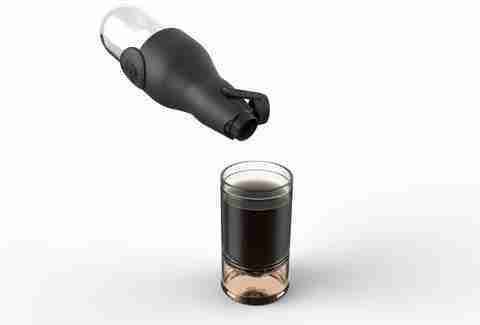 Instead, they came up with a space-age-looking bottle that essentially works like "fuel tank technology." 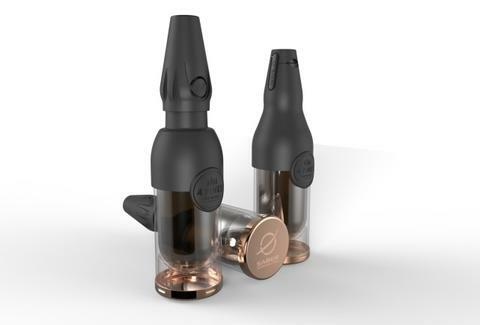 The scientists behind it used fluid dynamics and surface tension to create a bottle that wicks beer into the neck. On the bottom of the bottle is a cup that can be a little souvenir to bring back to earth when you land. Vostok is hoping to raise a million dollars for the bottles through a crowd-funding campaign. With 24 days remaining, the project has raised nearly $30,000. That's no small amount of money. It's also a long way from a million. But maybe they'll get there because some of the perks are impressive. It includes taking a zero-gravity flight yourself and testing out the bottle. You may not be able to afford a vacation in space, but if you can, know that intrepid minds are working hard to make sure it's worth it for you.